i am so glad to see this post because THIS is on my top 3 list of flavors i need back. get rid of my cinnamon sugar if you must but do not mess with me on this flavor bonne bell lol. Haha I love you, you say what we’re all thinking! 🙂 This is a must to bring back, I really hope that if we don’t see it this Christmas we will get it next year. It’s just one of those flavors that needs to reappear. This flavor IS amazing and NEEDS to be brought back with this same original formula. Not one thing needs to be changed about it! 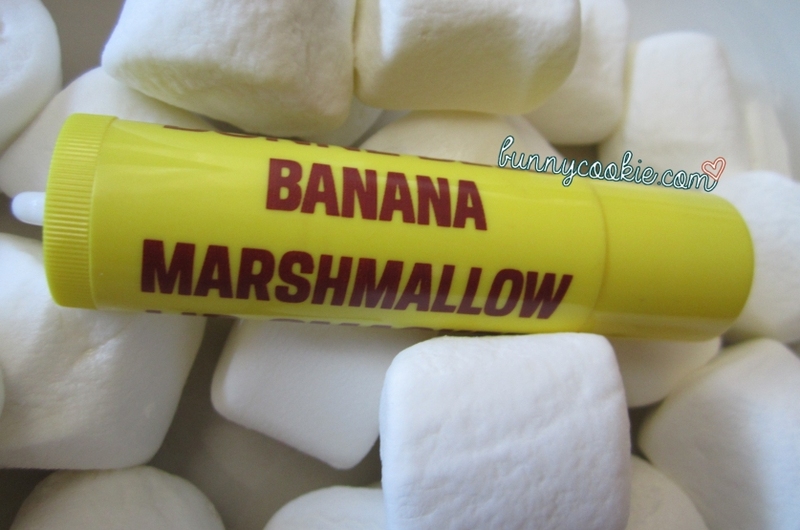 I love that the marshmallow overpowers the banana, as most banana flavors usually power the flavor. So lucky to have one of these, love this flavor- so unique and scrumptious. If this makes a comeback I will be buying many backups. I wonder when they made this flavor if they had a circus peanut in mind? Yes that’s exactly it, and I think you are onto something with the circus peanut comparison. It’s the perfect balance of flavors. It might just be me, but I feel that their older marshmallow formula (90s and earlier) was stronger. Aw thanks girl, you’re the best! Wow, this a flavor I never knew they made. I love when you post vintage Lip Smackers because even though I’ve been collecting Lip Smackers for well over 15 years, there are some I’ve missed or some that were before my time. It’s so true though, sometimes just when I think I have an idea of how many were made, another one pops up out of nowhere that I had no idea about! Stumbled across your blog randomly when searching for the Peanut Butter and Grape Jelly smackers, and am proud to say I have read every entry! I use Bonne Bell’s products religiously and I do not think they get enough recognition despite their great history and consistent formula. Thanks for the in depth look, you have a new fan. Hi Alishya, thanks for reading & commenting. I think a lot of people find the blog through pb & jelly. What do you think your favorite flavors are? I’m so happy to have found it! PB&Jelly for sure, along with Dr Pepper (of course), regular Banana, and Star Fruit. Their fruit balms are excellent! Good taste, I’m a huge fan of all of those. Dr Pepper is my go-to and I think Banana and Starfruit are tied. I might prefer the fruit stuff slightly more as well though it’s hard to say! WOW! I remember buying this flavor at the Bonne Bell makeup counter in the winter of 1976. I remember it well: as a guy, it took me a while to get up the nerve to hit the “ladies perfume counters” in the department store, and my friends never forgot to remind me of this fact for a while! Back then, everybody used these – but not all of us wore them around our necks. This would be the best flavor Bonne Belle ever produced. Thanks for the great pics, too. 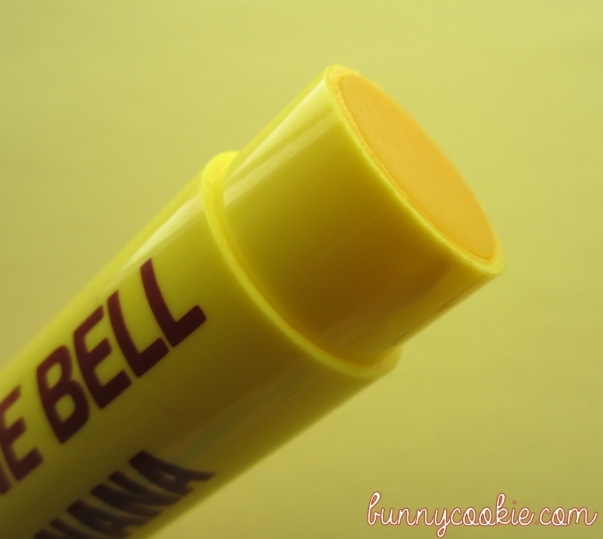 I found your site doing a websearch for Bonnie Bell 70’s big lipsmackers. I purchased my 3 favorite flavors, Banana-marshmallow, Peach and Watermelon in the very large fat tubes that had a rope necklace. They were my skating party flavors at the roller rink. Many decades ago and the memories they bring back!!! I wish I could purchase these flavors again but I can’t find them. I know the big fat stick isn’t made anymore. If anybody knows where I can purchase the 3 particular flavors I’d love to hear from you.. I love this blog and any petition for banana marshmallow let me know .. I am sure that many loved this gem. My Raspberry Chocolate was pink coloured. And delicious. And I am beyond bummed that it is no longer being made. I had no idea there was a Strawberry Chocolate. Really wish they’d make both again! I had a biggy banana, just straight-up banana – no marshmallow, that I recall fondly. Kudos to you for having the foresight to save it!